Gelatinkapslar fyllda med rött pulver som blandar sig med saliven när du biter sönder kapseln. Se till att ha saliv i munnen. 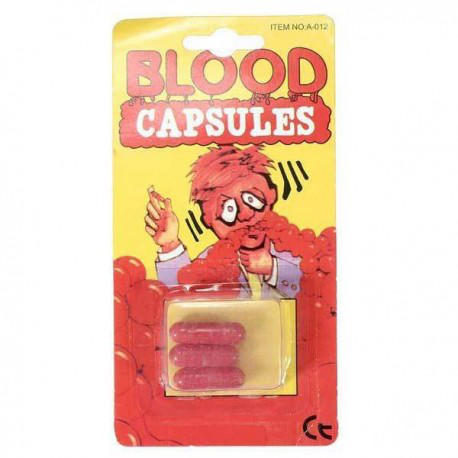 3 st ampullerBeskrivning från Grimas hemsida: Gelatine capsules filled with red powder / When mixed with the saliva in the mouth, it gives a realistic effect / Stains in clothes cannot be washed out.